This is one of Fats Waller’s last performances, from the 1943 musical Stormy Weather. This film was a rare Hollywood production featuring a predominantly African-American cast. The 75 minute film was short on plot, but filled with cool music and dance (20 numbers) from some of the major artists of the time, including Waller, Cab Calloway, Bill Bojangles Robinson, The Nicholas Brothers, and the young and beautiful Lena Horne. 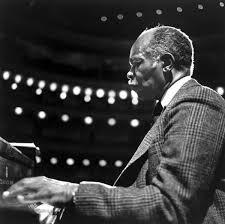 And keep an eye out for jazz legend Benny Carter, playing trumpet in Waller’s band. 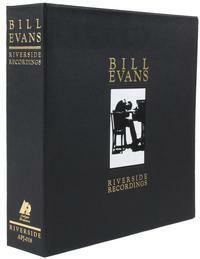 It’s the Bill Evans Riverside Recordings, pressed on vinyl at 45 RPM. 22 discs for only $600. This comes from a company called Acoustic Sounds, which caters to those with a real fetish for vinyl. The question I have is this: can you really tell the difference between a record pressed at 45 than one pressed at 33.3? Plenty of other disc pressings, and outrageously high-end audio equipment are available at their website.